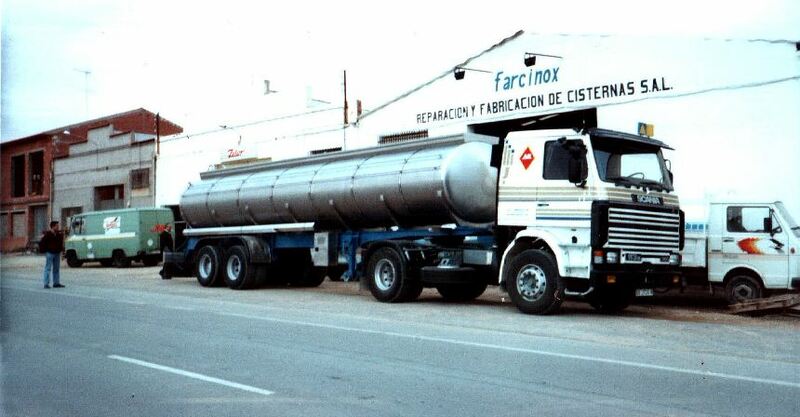 The history of Farcinox began in 1992, when Juan Francisco Sanz and Miguel Ángel Muñoz decided to unite their more than 20 years of experience in the manufacture of vehicles for the transport of liquids by road, with a product vision based fundamentally on meeting the highest quality standards. That is why from the start quality has been the main attribute that has guided every step of the way for Farcinox. 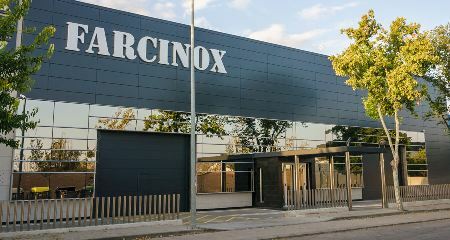 Farcinox began its journey with 3 employees, in 2,000 m2 facilities located in the town of Mota del Cuervo (Cuenca), in the geographical center of Spain and with good roads connecting it to the rest of the country. Although the original idea was the manufacture of stainless steel tankers for road transport, the first two years were dedicated exclusively to the manufacture of static tanks for the storage of liquids. This business gave Farcinox a good reputation in the sector and allowed it to acquire its first customers in the road transport industry. In this way, only 2 years after its founding, Farcinox was already dedicated exclusively to the original objective of the company, and in 1994 its production capacity was already 20 vehicles per year. 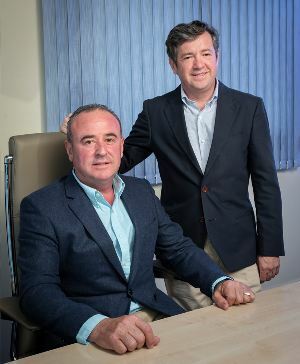 That same year, Juan Francisco and Miguel Ángel decided to expand their facilities in order to increase their production capacity and implement a new manufacturing line equipped with the latest technology available at that time. For this reason, Farcinox moved its factory to the town of Pedro Muñoz (Ciudad Real) and settled in a ​​20,000 m2 industrial area with a 7,000 m2 manufacturing plant. The Pedro Muñoz facilities are still the main headquarters of the company where the manufacture of all its vehicles takes place, being at the same time, one of the main points for after-sales service. In addition, based on a strict policy of continuous improvement, Farcinox has made constant investments to be able to manufacture new types of vehicles to be included in its product portfolio, such as tank containers for intermodal transport. At the same time, to maintain its manufacturing lines at the technological forefront of the sector, it has incorporated automatic welding equipment for structural elements and accessories, and has developed its own machinery for the internalization of a large part of the components manufactured for its vehicles. 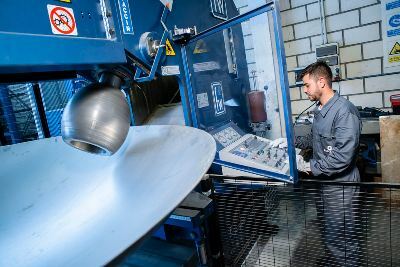 That is why, after its last expansion in 2018, Farcinox has a manufacturing capacity of a total of 150 vehicles per year. In addition to the focus on product quality and manufacturing processes, Farcinox has always been aware of the importance of offering the best after-sales service to its customers so as to ensure that their vehicles are in the best working conditions. In this sense, in 2005 the company built its own 2,000 m2 facilities in Constantí (Tarragona) to implement a specific service point, aimed at its customers in northeast Spain. In addition, Farcinox has reached collaboration agreements with other service points in order to cover all of Spain and thus ensure maximum levels of quality, also in its after-sales service. 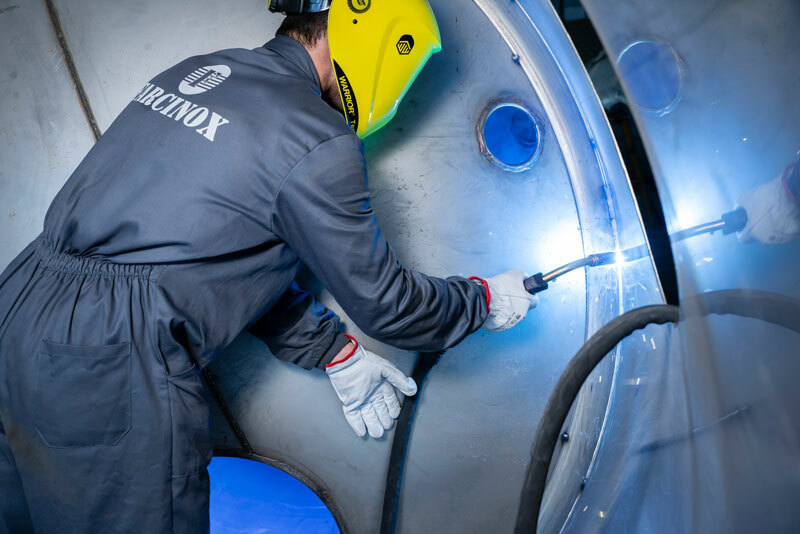 Currently Farcinox is present in international markets where they are a reference in the manufacture of stainless steel tanks because of the quality of its products. The company’s export activities began in the year 2000 and have covered most European countries and North Africa. Currently, the company is redefining its export strategy in order to implement a network of after-sales and commercial service that allows it to consolidate itself as one of the main manufacturers in the continent. In short, more than 25 years at the service of our customers and with the sole intention of improving every day. Another of the most important factors in the success of Farcinox is the team that makes it up: highly qualified personnel in all the positions of the company and with great experience in a sector as specific as is the manufacture of industrial vehicles for the transport of liquids. In addition, the company has devoted significant resources to building an organization oriented to innovate and improve, day-by-day, the products it offers its customers. Sales department: we make sure to keep up with the needs of the sector and we have high technical knowledge to provide our customers with the best advice. Design and engineering department: we have the best professionals in the sector for technical design and engineering, necessary to develop solutions to any type of need. In addition, we devote a large part of our resources to innovation and development for the continuous improvement of our products and processes. 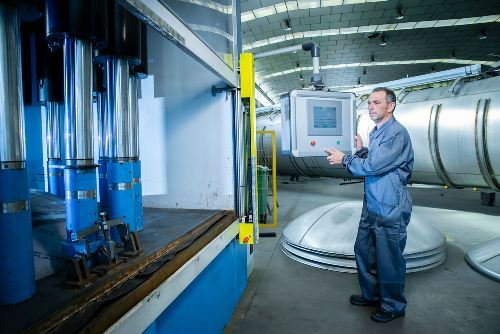 Production and quality department: we put special focus on the planning and control of our manufacturing lines, to ensure that the product meets the specifications of our customers within the agreed deadlines, always maintaining quality standards. Manufacturing Department: we have the most qualified personnel in the sector in each of the positions that make up our manufacturing lines. After-sales service and spare parts department: : we know how important it is for our customers that their vehicles are in the best working conditions and for that, we have a specific department that provides an immediate solution. Communication and marketing department: we want to be close to our customers and inform them of the news that concerns them, both about our company and the sector. Administration and finance department: nour objective is to ensure the continuity of the company from the financial point of view to continue helping our customers. At Farcinox we believe that our experience in the sector, the personalization of our products and the focus on quality, should be reflected in our vehicle’s entire value chain. That is why, in addition to having the best professionals in key areas such as sales, design and engineering and production, we have equipped our manufacturing lines with the best technology in the sector, having designed our own manufacturing processes, controlled and verified by our qualified staff, in order to ensure the highest level of quality, while we respond to the specifications of our customers. The best tank bodies in terms of efficiency, safety and welding quality: we are aware of the importance of this element in our vehicles and for this reason we have dedicated a lot of efforts to its continuous improvement and to the automation of the unions of its components, in order to provide a product of the highest quality and to work in the safest and most efficient way possible. The most durable and manageable chassis: we have thoroughly studied this element of the vehicle to design and manufacture a chassis that extends the useful life of the vehicle and allows a distribution of loads that leads to a smoother ride, which results in lower fuel consumption and wear of tires and brakes. Just like with our tank bodies, we have automated our chassis production to ensure that each unit meets the design and quality requirements. The most functional parts and accessories with the best quality finishes: at Farcinox we have always opted to internally manufacture the majority of elements that make up our vehicles with the conviction that it is the best way to ensure the functionality required by our customers and maintain a level of quality at the same height as that provided by our tank bodies and chassis. Cutting: automatic laser and water cutting machines, both on a plane and for tubes. – Forming: hydroforming and stamping presses as well as high-load automatic folding and bending machines. Forming: hydroforming and stamping presses as well as high-load automatic folding and bending machines. Machining:all the necessary machines for machining by numerical control of our elements that make up the loading and unloading systems. 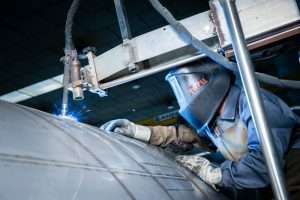 Welding:: robotic and automatic welding arms of different elements that make up our vehicles. Electropolishing: polishing system by electrolysis that guarantees the best finish of our accessories. Our manufacturing policy based on the highest quality standards of the sector is recognized externally by our customers and by the best certifying entities. CAs a consequence of this work methodology, Farcinox complies with the requirements of the ISO 9001 standard for quality management practically since its establishment.